Westchester DWI Lawyer | Westchester DUI Lawyer | Bruno V. Gioffre Jr. Being charged with NY State Driving while intoxicated is so common that it seems deceptively simple. However, it is not and involves significant issues of both medical and biological, as well as complex legal issues. This is why it is important for you to quickly retain the right lawyer after you or someone you know has been charged with a NY DUI. There are their heavy consequences to a New York State DWI conviction. You can end up without a license and convicted of a misdemeanor or felony. You can be sentenced to probation or jail for a significant period of time. If your children were in the vehicle NY Child Protective Services will be called (CPS). You may also be hauled into family court, and a protective order will be issued which will prevent you from having contact with your children. New York’s prohibition against drinking and driving is found in New York’s Vehicle and Traffic Law Section 1192. At its core, there are 2 ways of being found guilty in NY of DWI; either having a BAC of .08 or greater, or operation while your ability to drive is impaired because of intoxication. The last one has nothing to do with a blood alcohol content. This is called common law DWI and is found in VTL § 1192(2), whereby operation merely due to having a BAC of .08 or greater is found in NY VTL § 1192(3). 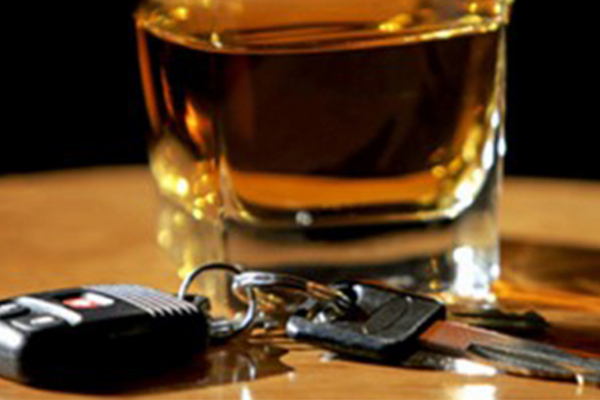 A 3rd category of NY DUI is driving while ability impaired, or DWAI. The statute is found in NY VTL § 1192(1), and unlike DWI while still an alcohol related conviction it is not a misdemeanor or felony. If you have been arrested anywhere in New York’s Westchester, Orange, Putnam and Rockland Counties, or Manhattan, Queens, Bronx, Brooklyn, Staten Island, or Long Island for DWI, you need Bruno Gioffre on your side. Bruno is an experienced criminal defense attorney and has litigated many NY DUI cases. Not all criminal defense lawyers are competent to handle a DWI case. With the recent publicity of serious motor vehicle accidents caused by drunk drivers which caused the death of innocent people, it is no longer the case that a first time DUI defendant will be offered a plea to a non-criminal disposition. This is why you have to retain counsel that knows how to build a defense and take a case to verdict. Prosecuting and defending a NY DWI case is complex. Even if you blew over the legal limit that does not mean that you are automatically going to be convicted. There are inherent inaccuracies with the breathalyzer, and in addition the breath test operator can mi-calibrate the machine to cause a false positive. Further, the BAC reading assumes a biological metabolic rate of the average person. However, your metabolic rate is likely slower or faster than that. Defense of a DUI charge comes down to your attorney knowing not just the law, but body chemistry and how the equipment operates. However, not even that is good enough. Your lawyer must have the requisite independent experts in each of these fields to investigate the equipment and procedure, and give you a medical exam as to your individual metabolic rate to defeat the breathalyzer reading obtained by the police. Attorney Bruno Gioffre has such a team at his disposal. Don’t let a DWI charge ruin your life. Call our office today and speak to Bruno. All phone conferences are confidential and all first time consultations are given at no cost. Defendant charged with Driving While Impaired by Prescription Drugs. After a brief bench trial, the charges were dismissed. Defendant charged with felony DWI under Leandra’s Law. After a bench trial, the felony and misdemeanor charges were dismissed. Defendant was only found guilty of the violation, driving while impaired by alcohol.